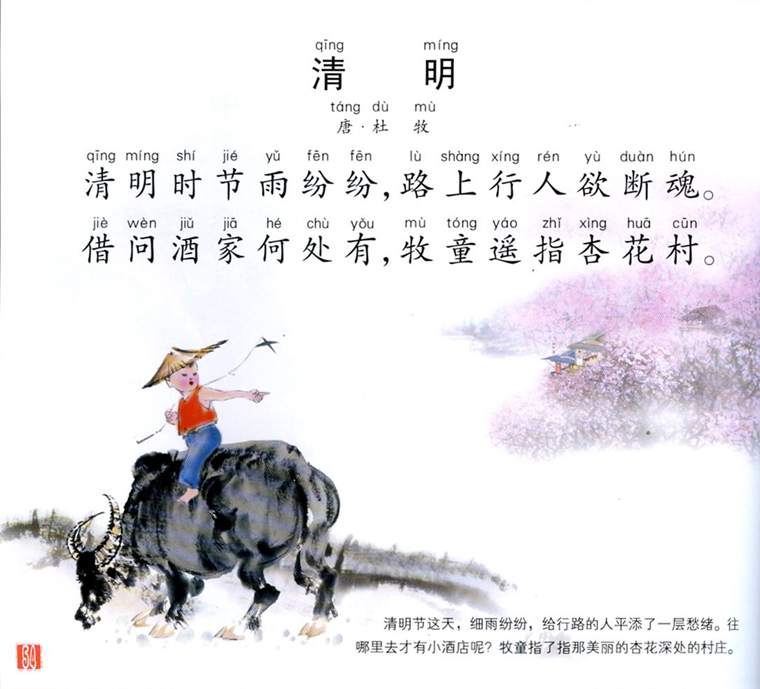 As you can see there is no shortage of translations and interpretations for Du Mu‘s opening line, but one thing is clear throughout–the poem takes place around Tomb Sweeping Festival, and it’s raining. When I first learned this poem back in 2008 I didn’t pay much attention to what the weather was like during Tomb Sweeping Festival, but the past week of on and off rain has certainly got my attention. What really surprised me, however, was a conversation I had over breakfast the other day. It had been raining all morning and it was quite cold (at least by Taiwan standards). As I sipped my morning coffee, with both hands searching for warmth from my cup, I expressed my disapproval with the cold dreary morning when the person setting across from me said: “清明时节雨纷纷,” a subtle reminder that it’s the spring festival season… it’s going to rain! After that morning conversation, I’ve heard the opening line of the poem reference at least 2 times in passing, and used it a few times myself. So language learners, take a note from Du Mu’s playbook and every time that Tomb Sweeping Festival rolls around and it’s (inevitably) raining, use this opening line and show off your Chinese talent! For those of you aren’t familiar with the poem, check out the picture below. Thanks for reading, and stay tuned for next weeks post!